This grainy reproduction of a well-known photo taken just after Kennedy was shot shows a patch of smoke among the trees of the Grassy Knoll in Dealey Plaza, Dallas. Fifty years ago this Friday, the 22nd of November, I walked out of my English class at Point Loma High School and full of disgust threw my brown bag full of lunch away in a trash can. I felt sick to my stomach and couldn’t bare to think ab0ut eating – we had just heard that the President had been shot by someone from an overpass while he was riding in a motorcade in Dallas, Texas. Classes were cancelled and we all went home, most of us saddened and confused. I remember very vividly sitting in our Point Loma home watching the news that Sunday, the 24th with my dad. It was almost all we did that weekend – watch the news on our black and whites, fiddling with the rabbit ears or electrically moving the antenna on the roof. We had heard that the assassin, Lee Harvey Oswald, was going to be moved and all the news cameras were there to broadcast the live event. The nation was riveted on the tube – and I know my father and I sure were. “Here comes Oswald!” someone shouted, cameras rolling, and there he was – evil incarnate – his arms gripped by big guys in suits – on live TV – being brought out from some back office into full view of millions of Americans. We all now know what happened next – we’ve seen it a dozen replays since. But on that Sunday, before Jack Ruby rushes out from the crowd, it was just a few days from Thanksgiving; yes, we had lost Kennedy but the killer was in custody and the nation would get to the bottom of this dreadful and tragic act. We had a new president and everything would get back to normal after Kennedy’s funeral – which was the next day. Suddenly, this guy – we now know him as Jack Ruby – rushes out – into the screen – and goes straight for Oswald – then BANG! – a shot. Oswald grimaces and collapses and a dozen guys rush the shooter. We’re told not too long after that Oswald is dead. Grief and sadness and confusion turn into … I don’t know – something else. But ever since that weekend, we as a nation, have been trying to figure out what changed after that weekend in November, fifty years ago. Kennedy’s death was very personal to me – and I saw tears in my father’s eyes that day, tears seldom seen on the face of that retired military officer. Kennedy’s shooting was somewhat personal for me; I had gone out that day when he came to San Diego in a motorcade – June 3, 1963, also an open-aired limo and I saw him whiz by on El Cajon Boulevard. I remember thinking that his make-up looked too unnatural, too much orange. So, it was a powerful feeling when he was killed a little less than 6 months later. The President’s shooting and then Oswald’s is that moment for my generation, the Baby Boomers, the Sixties Generation. Everyone in my generation knows where they were that day, that weekend – and what they were doing. Just like for my parents’ generation, it was Pearl Harbor and probably for my daughter’s millennium generation it is 9/ 11. Yet the near cliche about ‘where were you then …?’ is really much more great a question and much more grave. Because what happened fifty years ago and what has happened since in our country is America’s Big Lie. The myth that Kennedy’s killer was himself killed and therefore the case is closed is this Big Lie. The fact is that somebody killed Kennedy and got away with it. We never really found out because somebody else covered it all up. This is the 50-year old deliberate misrepresentation of what happened in Dallas and the continued successful campaign to prevent us from knowing what happened. It’s the Big Lie because we all know – or most of us – that if Oswald killed Kennedy he didn’t do it alone. So there was a conspiracy and there were more people involved. Since not too long after the Warren Report was released in 1964, the American people have been very skeptical of its conclusions. Polls since then – up to today – have all held a majority of Americans believe in a conspiracy – hence do not believe the Warren Commission. But the official position – still – is the Warren Commission’s – that Lee Harvey Oswald was the killer. He did it in the Texas School Book Depository and he did it alone. We still are getting this. And despite the fact that an official Congressional committee investigating the whole affair in the late 1970s found that JFK was killed by a conspiracy, we are still fed the Warren Report as gospel. A huge element of this Big Lie is the fact that no one has been brought to justice for the execution of our chief executive. And because no one in government appears to want to get to the bottom of the Big Lie, it continues – and it’s carried forth from one generation to another. It’s the biggest lie that this country has carried for the last half century. And until or unless the Big Lie is demolished, destroyed – and the truth found out – America cannot be itself. Our nation cannot hope to fulfill its express and implied goals and beliefs. This week we get to confront this Big Lie as we honor – or celebrate – John Kennedy’s assassination in Dealey Plaza. It is truly a milestone – and we have been inundated with television programs, films, articles and books about the shootings, the shooter, the aftermath, the secrets. There’s also all those polls that demonstrate that a majority of Americans do not believe the Warren Commission. And the City of Dallas if preparing some kind of big commemoration. Knowing that this was on its way, three weeks ago, I began reading and watching everything I could about the assassination and the cover-up. So, let’s check it all out, together. Tomorrow, Friday, the 22nd, the City of Dallas is staging a commemoration of the assassination that occurred in their city. The city is expecting 5,000 people to cram into Dealey Plaza. A million people visit Dealey Plaza each year. And, what’s Dallas without controversy? The local police are accused of sweeping the Plaza ridding it of any so-called “conspiratists”. And they’re spending money to show that they care. In fact, the grass of the infamous Grassy Knoll has been relaid, the evergreen trees in front of the Book Depository trimmed as they were in 1963, the period street lamps repaired, and the concrete pedestal where Abraham Zapruder stood to make the most horrific home movie in American history is freshly painted. As the city prepares for the biggest event it has ever held to mark the assassination on Friday — led by Mayor Michael S. Rawlings, a committee of civic leaders raised about $3 million in private donations for the ceremony — the focus has been on the city’s legacy as much as Kennedy’s. Dallas is trying very hard to overcome its description of “the city of hate”. The infamous Texas School Book Depository – almost torn down in the Seventies, now houses a museum of the assassination on the 6th floor, with the first 5 floors county offices. In the 1970s, there was a strong push to tear down the shuttered Texas School Book Depository. A handful of leaders, including … the mayor, succeeded in preserving the red brick building, which the county bought in 1977. The top two floors were later turned into a museum. Now, more than 320,000 people each year stand next to Oswald’s sniper’s perch on the sixth floor and peer out the windows at Dealey Plaza below. While crowds gather on the 22nd in Dallas, polls continue to demonstrate where the American people are with the assassination and its cover-up. 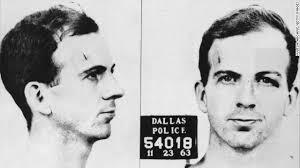 According to the AP-GfK survey, conducted in mid-April, 2013, 59 percent of Americans think multiple people were involved in a conspiracy to kill the president, while 24 percent think Oswald acted alone, and 16 percent are unsure. Those who were adults in 1963 were almost as likely as younger Americans to say that Kennedy’s killing was a conspiracy involving multiple people — 55 percent, compared to 61 percent. In a most recent Gallup Poll, 61% think that, at the very least, shooter Lee Harvey Oswald didn’t work alone. The polls have been consistent for these 49 years. A 2003 Gallup poll found that 75 percent of Americans felt there was a conspiracy. Rates of non-believers over the years have reached as high as 70%. As, ever since the Warren Commission released its report in late 1964, Americans have been skeptical and downright dis-believing. This is a definite good, healthy sign for our country. Despite the official government and corporate media line, Americans have been way ahead of the “leaders” in figuring out what happened. Predictably, we’re being inundated with books, articles, films and videos about JFK and his murder. Over the last 50 years, there’s been some 2,000 books written about the national scandal that began in Dallas, a number of movies and lots of videos. During tomorrow, the actual 50th anniversary, several news organizations are running the original news reports. What got me going was an op-ed piece published in the LA Times a month ago. Entitled “Nov.22, 1963: 50 years, and still no conspiracy”, it was written by Richard M Mosk and continued the myths that the Warren Commission created. I knew then, that the cover-up was still operating but I was somewhat surprised at its boldness. Turns out this Mosk is a justice on the California Court of Appeal – and … drum roll, please … he was a member of the staff of the Warren Commission. And apparently, ol’ Richard Mosk was well-rewarded for his … ah, loyalty. “The Hidden History of the JFK Assassination” by Lamar Walden blames the Mafia on Kennedy’s murder, as grandfather Carlos Marcello had the President killed. “History Will Prove Us Right – Inside the Warren Commission” by Howard P Willens, is just that, an effort by one of the few living staff members of the Commission, to firm up its report. Willens supervised the investigation – an investigation that left a lot to be desired. Much evidence was ignored, much of it dismissed and much of it suppressed. Good job Willens, thanks so much. Author Peter Savodnik wrote “The Interloper“, a discussion about Oswald in the USSR. However, Savodnik assumes right off the top that Oswald was the killer of Kennedy without assistance. Mark Shaw, the current curator for the Sixth Floor Museum in Dallas, wrote “The Prison Patriarch” which purports to show that Kennedy was killed for the “crimes” of his father, Joe Kennedy and his dealings with organized crime. Eh. “A Cruel and Shocking Act” by Philip Shenon looked very interesting in recounting much of the secret history surrounding the gunshots and aftermath from Dealey Plaza. Jesse Ventura, former wrestler, oddball and sometimes politician wrote a book, “They Killed Our President“. Okay, but I wasn’t tempted. “When the News Went Live“, is about four TV networks in Dallas and their coverage of what happened, by Bob Huffaker. It does have a foreword by well-known newscaster Dan Rather. But lately I’ve read incriminating stories about Rather – he was the first newsman in Dallas to view the Zapruder film, and right afterwards, he made a disingenuous and misrepresentation of it for the news. Jerome Corsi penned “Who Really Killed Kennedy?” which also looked interesting, but other assassination researchers consider some of his allegations and assertions “too wild”. Another book on the shelf was “Dallas 1963” by Bill Minutaglio examined the extreme right-wing elements in Dallas 50 years ago, yet with no table of contents and no mention of the CIA in its index, this one looked very superficial. One author who’s been getting air time these days is Larry Sabato who just wrote “The Kennedy Half Century: The Presidency, Assassination and Lasting Legacy of John F. Kennedy“, who debunks our perception of Kennedy as a liberal. Sabato looks more into JFK’s legacy than the Dealey Plaza murder. A video that is making the rounds these days is based on a 2010 book, “The Kennedy Detail” by Gerald Blaine. The sub-head reads, “JFK’s Secret Service Agents Break Their Silence”. Essentially, an exoneration of the oft-repeated failings of the president’s cadre of secret service agents. Yes, they finally tell their side – those who are left – and they did everything possible that they could have to protect JFK. I did numerous fact checks with this book; the one that stands out is a fairly-accepted account that many of Kennedy’s Secret Service agents went drinking the night before Dallas – some staying up until 3 a.m. Drinking was and is a fire-able offense while on duty for these agents, and the agents were considered “on duty” while away from Washington. What did “the Detail” say? Heck, it was just a coffee shop in Fort Worth and they were just sipping fruit juice. Continuing the country’s exoneration, a number of television stations have been broadcasting films and videos about our history from 50 years ago. And now we can safely announce that CNN has just joined the History Channel and the National Geographic channel in continuing the cover-up, as all three networks fully back the Warren Commission and Oswald as “the lone assassin”. The recently released Hollywood film, “Parkland” also continues the deception, as it’s based on author and lawyer Vincent Bugliosi’s book on that day in Dallas, although the movie does an excellent job at portraying the shock, grief and sorrow that following JFK’s killing. Of course, if you really want to get down to brass tacks, you have to pick up the original and seminal critique of the Warren Report, a book by attorney Mark Lane, “The Rush to Judgement“. His “Plausible Denial” picks up and updates the data surrounding the unsolved murder. 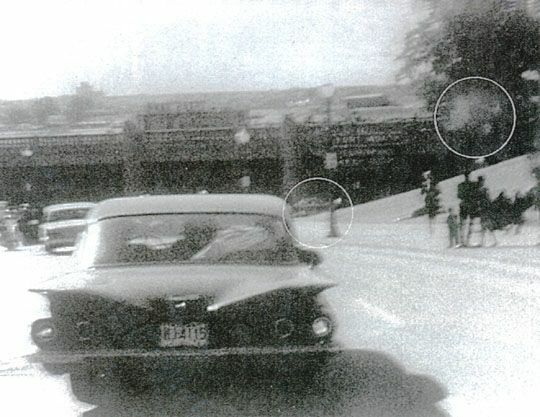 Here, Lane proves that Watergate figure E Howard Hunt was not only at Dealey Plaza on 11/22/63 – despite his lifetime denials – and that he worked for the CIA, and was involved in the shooting and cover-up. More tomorrow – the actual anniversary. Here’s Part 2. Huge mystery. Great story, Frank. Very few people have seen these clips but they are out there right on youtube. I wonder if there would be as much a perpetuation of the mystery had a right wing fanatic killed the President, as opposed to a man of the left. Didn’t Jackie say something to the effect that it was a shame that a “silly little communist” killed her husband? Oswald was not “a man of the left” as you assert; he clearly was working for US intel. No joking here; Oswald was clearly a man of US Intelligence. I do not understand how a person can look at what is now called the “kill shot” and come away believing that Oswald was working alone. That shot clearly came from the front-left flank of the shooters FOV. 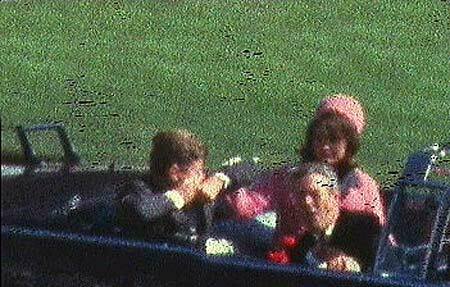 It tore a huge hole in the back of the President’s head, which proves that Oswald did not fire that shot. Anyone that knows something about bullet impact should know that entry wounds are a lot smaller than exit wounds. Also, the shot drove the President’s head back and to the right, again, from the shooters FOV. It’s simple physics. An object does not move toward impact. This also proves that Oswald did not fire that shot. Had he fire it, then the President’s head would have moved forward and there would be no huge hole in the back of the President’s head. It comes down to the Powers that be . . . if we allow people, regardless of their station in life, to have such power and money that could not be spent in a 100 life times, then tragedies as this will continue.